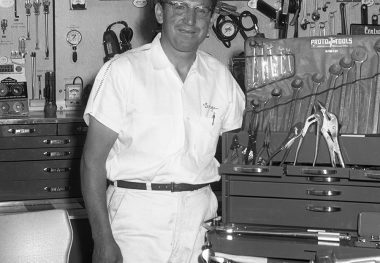 GEORGE BIGNOTTI came to the Indianapolis Motor Speedway as a crew member for the first time in 1954 after winning four championships as a mechanic in midget car racing in the San Francisco area. 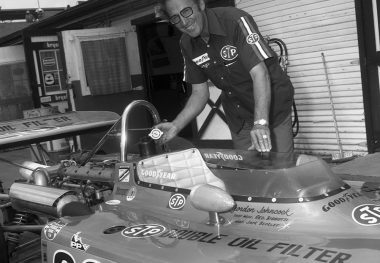 He accrued more National Championship victories than any other chief mechanic, including a record seven in the Indianapolis 500. 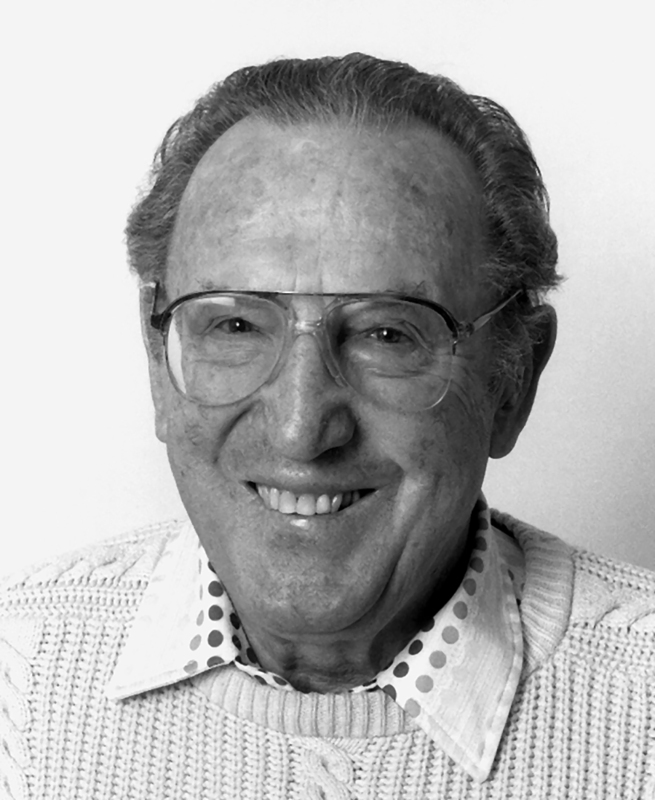 He won 85 such events, including ten in 500-mile races. 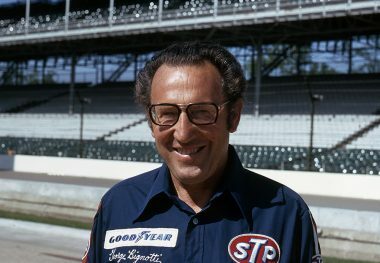 His seven Indianapolis wins were scored by A.J. 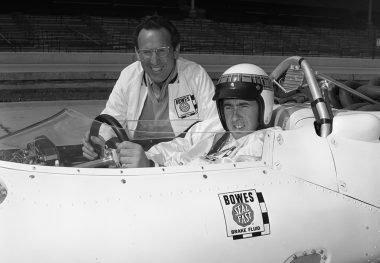 Foyt in 1961 and 1964, Graham Hill in 1966, Al Unser in 1970 and 1971, Gordon Johncock in 1973, and Tom Sneva in 1983. Bignotti was a co-owner of the cars in two of those wins, partnering with Bob Bowes in 1961 and with Dan Cotter in 1983. Joe Leonard (1971) and Wally Dallenbach (1973) won the Ontario 500 (Ontario, California) in Bignotti-prepared cars, as did Leonard at Pocono, Pennsylvania, in 1972. 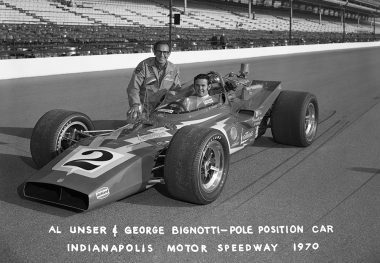 A total of nine United States Auto Club National Championships (four by Foyt, two by Leonard, and one each by Unser, Johncock, and Sneva) were also won in Bignotti-prepared cars.